Did a Charter School Endanger “the Health and Safety of Students, Staff and Other Individuals”? “The columns are no longer plumb, and the whole structure appears to be shifting. 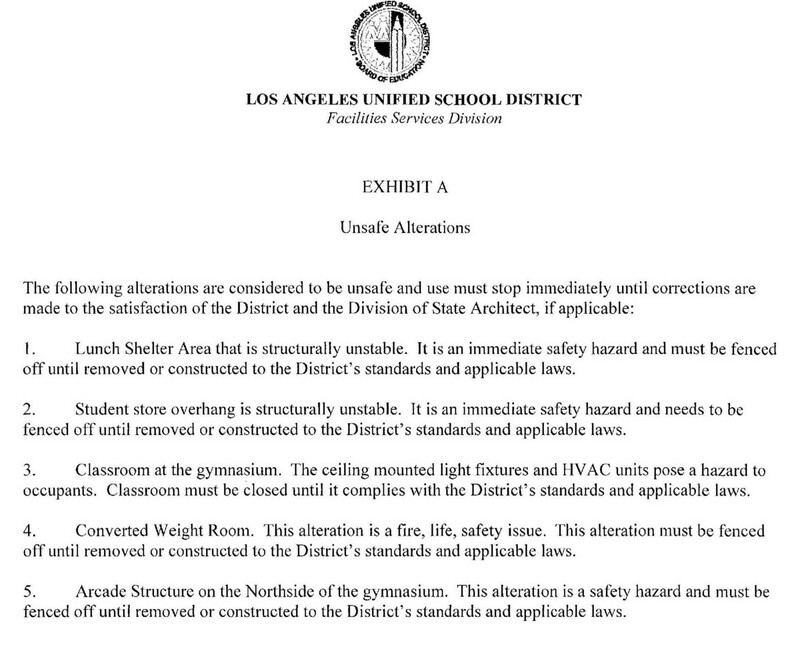 It is interesting to note that Bauer’s response to the LAUSD on March 14, 2017, focused not on the safety issues but on what he considered simple violations of procedure. 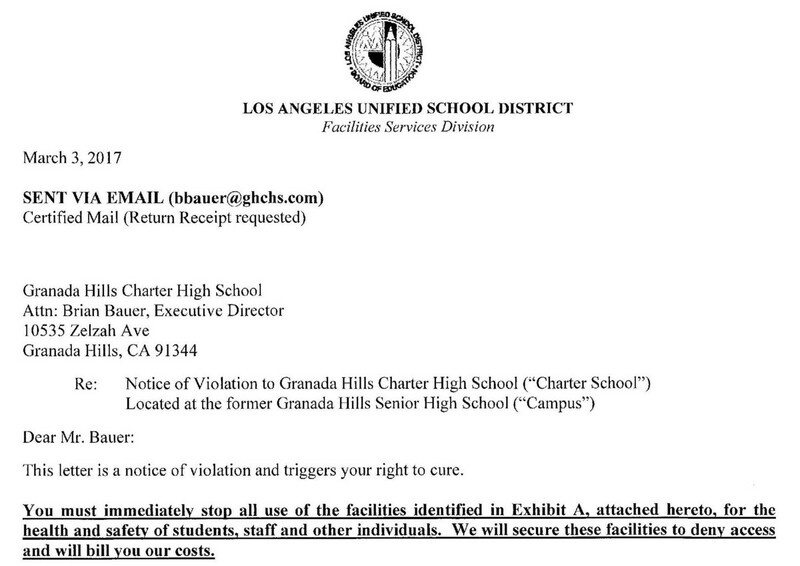 His main concern appears to be centered around whether the document he received was actually a Notice of Violation since it had not been “approved by the District Board before being issued.” For this reason, he was adamant that it could “not be used to commence revocation proceeding against GHCHS”. No mention is made of the immediate safety hazards facing the students under his care. These are not the actions of someone whose ”primary focus” is the “health and safety of [his] students and staff”.